Even if we DID somehow hit that limit, I thought(!) I gave it an hour's wait before trying again, but am still getting that message. Can you please let me/us know if the previous issue is back, or if some other issue is now going on, instead? Just so you know that I've moved this issue here as a new thread. As for the issue, forwarding worked in my forms and I also can't find similar threads in our support forum so I think this is isolated with your account. 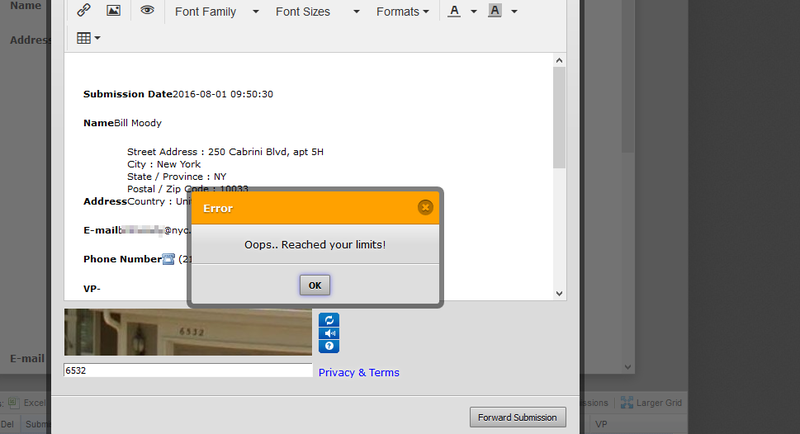 I tried clearing your forms cache and resetting your limit, but to no avail. I have now forwarded this thread to our developers for them to check further. If there are updates, you should know it through this thread. For the meantime, you may consider checking the email history and sharing the direct link to the email log. This covers: “Reply”, “Forward”, “Test Emails” and “Share via Email" in the Publish wizard. Please note that those limits are irrelevant for this because I got that message again tonight even after trying to forward even a single form, so something is clearly going on here. I looked at that log and saw a bunch of failed attempts to forward something to an AOL address. However, I was actually trying to forward more forms to our organization's address, typing/pasting that into the "To" line, which apparently JotForm DOES let me do...when it works as intended. I don't know why the AOL address fails, or why the system, for several days, wouldn't let me forward them, instead, to the organization's address, or why it consistently thought I was forwarding to the AOL address when I wasn't. The form's URL is https://www.jotform.com/form/42638373347158. Also, there is no "direct link to my email history"...just the usual https://www.jotform.com/myaccount/history. I tried again and yes, the error is still there. I'm re-opening the ticket on this thread. Again, as soon as we find something, we'll let you know through this thread. As for the failed emails, I will address that in a new thread. 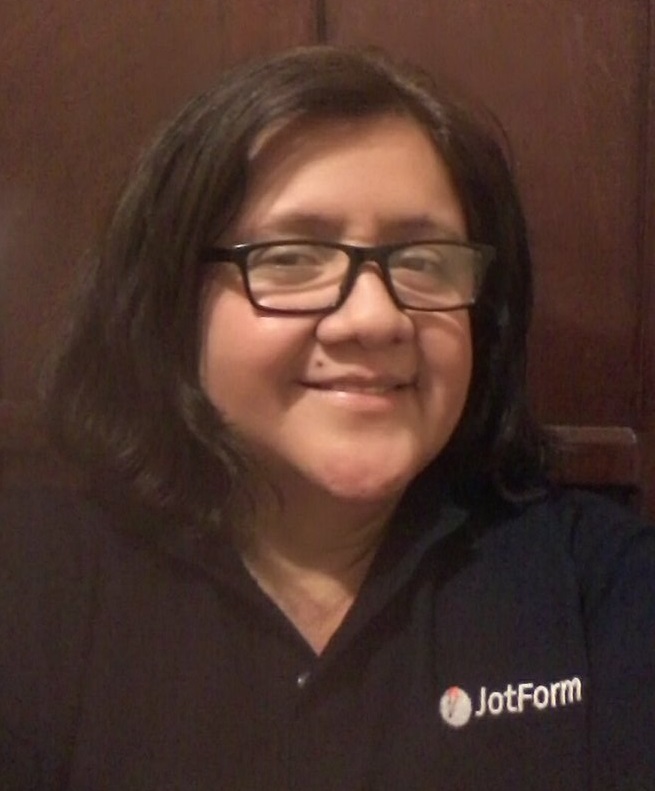 Here's the link: https://www.jotform.com/answers/895814. I just forwarded a submission to the organizational address you'll see in the account's email history, and it was successful (e.g., no message about "limits" appeared, and the email reached its intended destination), so thank you very much. I can only hope that this issue truly is resolved. If not, then I'll be back to follow up once that happens. You're welcome, Bram. 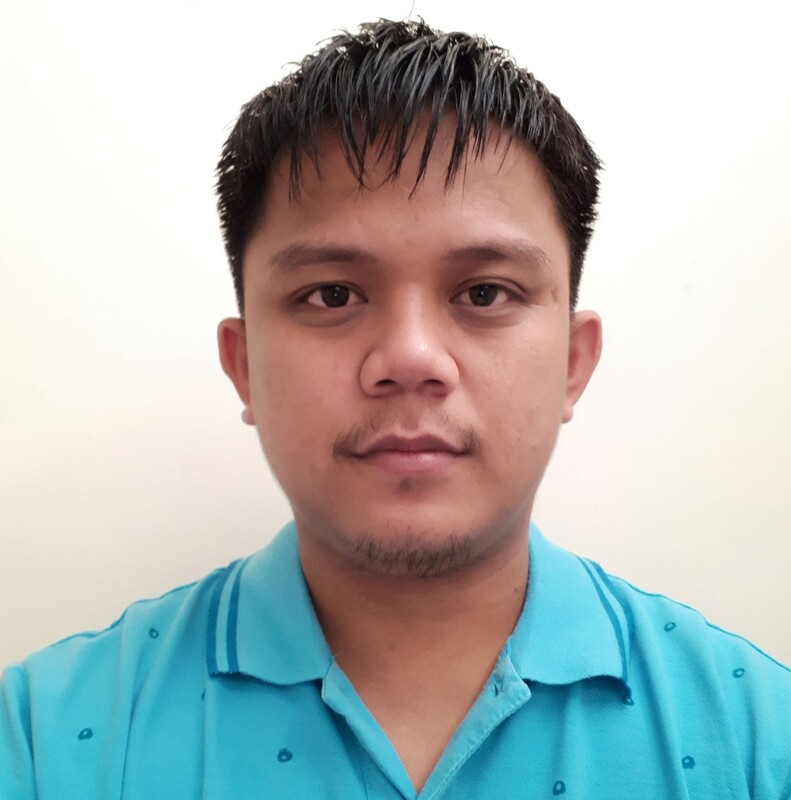 Our developers made an update for this feature and I am sure that resolves the issue. But if the issue persists, please make sure to let us know so we can take a look and inform our developers about it.